We can be reached via e-mail at info@skiutah.com, or you can reach us by telephone at 801-534-1779. To participate in the Passport Program, we need to know such information as your child's name, age, date of birth, parent's name, address, telephone number and e-mail address. In accordance with the Children's Online Privacy Protection Act, 16 U.S.C § 6501 et seq., this Personally Identifiable information will be provided to us in the application that may be downloaded or printed from this site, and then mailed or otherwise sent to us. This information will be used by Ski Utah for purposes related to the Passport Program, including, but not limited to, enrollment, pass usage, and user preferences. Ski Utah employs appropriate security measures to protect the loss, misuse and alteration of the information under our control, however, as no on-line data transmission can be guaranteed to be 100% secure, we cannot warrant or guarantee the security of any information you transmit to us at our Website. If you have questions about the security of information at this website, please contact us. In accordance with the Children's Online Privacy Protection Act, we will not knowingly collect any personally identifiable information from children under the age of 13 without first obtaining parental consent. You acknowledge and consent by the return of the application to us and/or through use of your credit card to enroll your child in the Passport Program to our use of the Personally Identifiable information therein. If you wish to revoke consent, you may do so at any time by contacting us and revoking the consent in writing. Prior to providing any Personally Identifiable information by participating in any activity offered through our website, children under the age of 13 must have a Parent or Legal Guardian complete and return a Parental Consent Form by email to passport@skiutah.com. This consent may be revoked by the Parent or Legal Guardian at any time by contacting us in writing. In the event children under the age of 13 are eligible, with parental consent, chose to participate in surveys or contests or other activities offered through our website, we will only collect and use information (e.g., e-mail address, mailing address, name, age) to the extent that it is necessary to administer the activity. We will never require that a child disclose more information than is necessary to participate in an activity as a condition of participation. 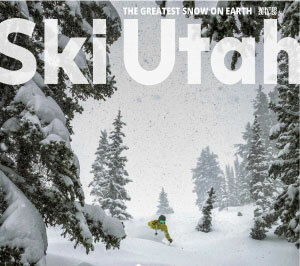 Who Does Ski Utah Share The Information With? We will not disclose information collected from children under the age of 13 to third parties except as described below. We encourage parents to monitor and supervise the on-line activities of their children and to consider using parental control tools available from on-line services and software manufacturers that help guarantee a child-friendly on-line environment. These tools help prevent children from disclosing their name, address, and other personal information without parental permission. The following Utah State ski areas are members of Ski Utah and partners in the Passport Program, and may receive personally identifiable information from Ski Utah related to the Passport Program: Snowbird, Park City Mountain, Alta Ski Area, Brighton, Solitude, Deer Valley Resort, Cherry Peak, Snowbasin, Powder Mountain, Beaver Mountain, Nordic Valley, Sundance, Eagle Point and Brian Head. Changes to the Policy: We may change this Policy from time to time, by posting the revised Policy on our website. The changes will only apply to the personal information we collect after we have posted the revised Policy. We will attempt to notify you of any significant changes to this Policy by sending an email notice. However, it is your responsibility to check this website for updates as you will be bound by them if you choose to visit our site. You may choose to opt-out of targeted advertising from SkiUtah.com at any time. If you do not want to receive targeted ads displayed by SkiUtah.com, please contact Ski Utah at the address or phone number above. When you opt-out of Ski Utah advertising in this manger, the opt-out cookie will be written to your browser. Ski Utah must maintain the opt-out cookie on your browser in order to recognize you as an opted-out consumer. You must opt-out again if you clear that cookie from your browser, use a different browser, or use a new computer to access the Internet. Even when you opt-out, we will continue to receive information about you, however, we will not sue this information in an advertising program if we read an opt-out cookie on your browser. We may still display ads to you, but those ads will not be tailored based on this information.